As I was standing in my trailer the other day, caulk in hand, examining the roof for leaks, I glanced down at my trusty little manure bucket cart and thought “You might be the single best purchase I’ve ever made”. Yes, I’m in love with a poop bucket cart. But since I’m ADD I continued to stand there holding my caulk, thinking about all of those essential horse show items that I can’t live without, and wondered what other little gems everyone else might have. Thus why we now find ourselves with a blog hop. So – what are your 5 essential horse show items? 1) The muck bucket cart is obviously a huge essential for me. When I was in h/j land and traveled with a trainer there was always a communal wheelbarrow and muck fork. You don’t really appreciate that until you travel solo or in very small trainer-less groups. There’s no room in a 2h BP for a wheelbarrow, so for the first couple shows of the season I just had my muck bucket and fork. I decided to “splurge” and invest in the cart that I’d seen a few people pulling around and man, it’s a life changer. I can plop bales of hay on it and cart them around, too. 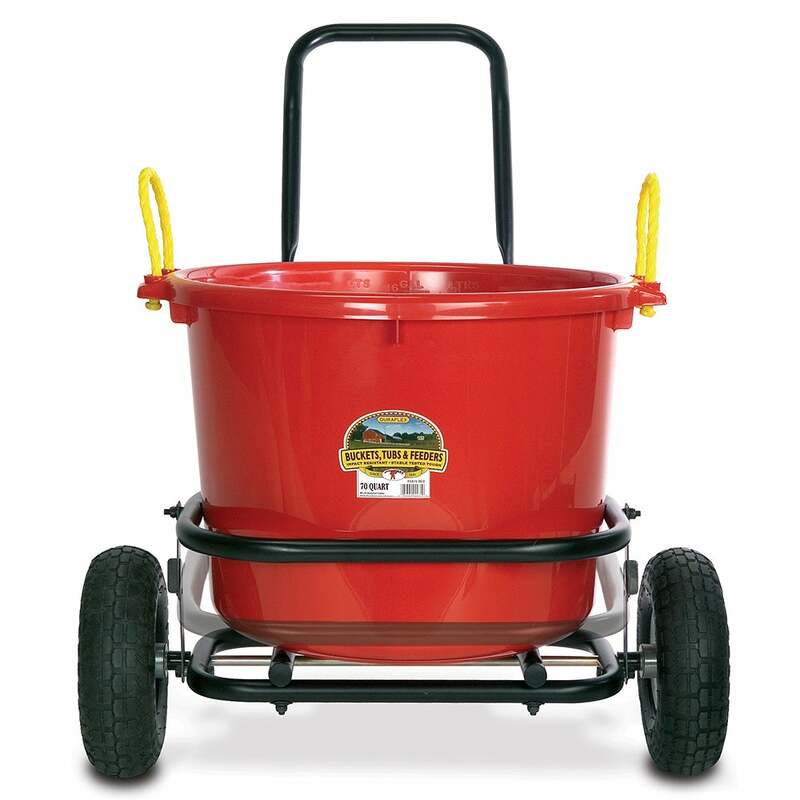 No more carrying heavy muck buckets all the way to the manure pile, or carrying bales of hay from the truck, and much easier to fit in the truck or trailer than a wheelbarrow. The cart is worth every penny. 2) Granted, I seem extraordinarily incapable of turning the damn thing on correctly at least half the time, yet I still love my helmet cam. It looks kinda goofy strapped to the front of my helmet, for sure, but I love being able to “re-live” cross country whenever I want. My helmet cam videos are my absolute favorite so I really don’t care how stupid it looks. 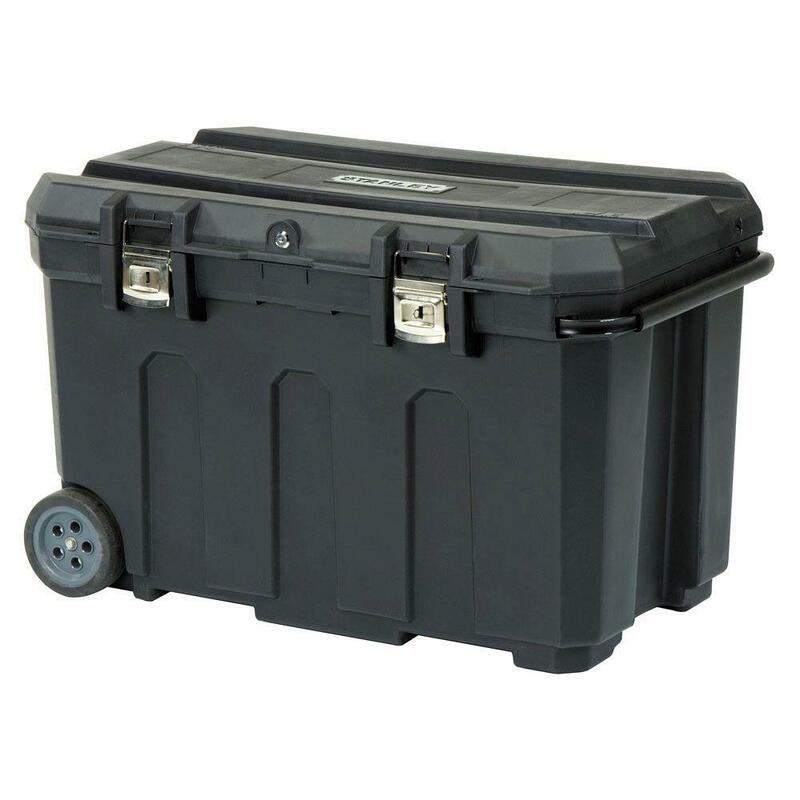 3) This one was hard for me as a h/j convert because there are few things I love more in the world than a beautiful show trunk, but good ol’ Stanley with his wheels and retractable handle has proven himself indispensable. He’s the perfect size, he’s rugged, he’s light, he’s easy for one person to move around, and he has all the features I need. I no longer own any of my old beloved wooden trunks (that took two people and a lot of cussing to move). Stanley isn’t beautiful by any means, but he is practical beyond measure. 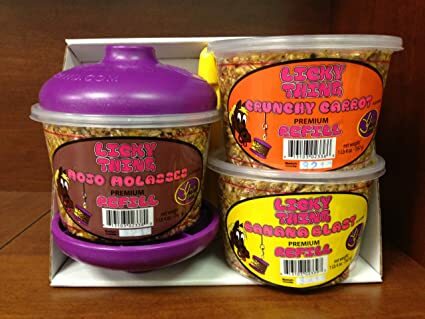 4) When Uncle Jimmy’s graciously offered to sponsor Team Always be a Unicorn for the Adult Team Championship, one of the things they sent us was a Licky Thing value pack. I’ve never offered any kind of hanging stall treat/toy to any of my horses, and when I put it up in Henry’s stall at AEC I really didn’t expect him to care much about it. I was wrong. He went to town on that thing and really seemed to love it. Now I hang one in his stall at every show (and at home when they’re stuck inside) to help alleviate the boredom, and he goes through about one Licky Thing insert per show. A $7 Licky Thing is a small price to pay for a weekend full of Henry entertainment. 5) You might say lucky socks aren’t an essential item, but I beg to differ. I’ve worn these socks on cross country day at every event this year and have yet to have any jumping penalties. Coincidence? I think not. How could you NOT feel motivated wearing these bad boys? They’re always the very first thing I put into my suitcase when I’m packing. My horse LOVES the Licky Thing. He has been on stall rest and it is a life saver! How is the black betty project coming along?? I need the manure bucket cart. I have yet to invest. I do love my Stanley though. It is the best at keeping things clean at the barn…magic! Pretty much in complete agreement with you. Cart? Check. Stanley? Check. 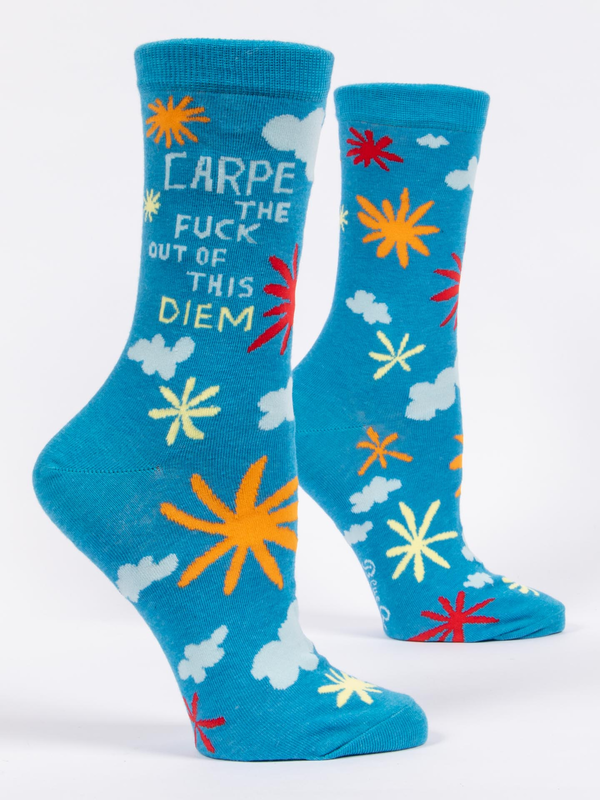 Awesome socks? Check. I think I would add stall hooks, every shape and size for every job. Those carts are priceless. 🙂 You forgot to mention how awesome Stanley is for expressing your personal style, though–those gorgeous wood trunks all look the same. Stanley, on the other hand, is decked out with stickers and quotes and things that make me happy. Stick(er) it to the man! Its true, although my stickers don’t seem to weather the Stanley lifestyle very well. lol yup. doin the hop 😀 also yea, one of those stanley trunks is definitely on my wish list!! I LOVE my Stanley trunks. No fancy tack trunks for me. Those babies go everywhere with me, including fancy smacy WEF. My list was a bit less practical, but I’m buying those socks right now. they are amazing. Damn. I need some cool socks. Gallon sized plastic baggies full of grain and supplements, buckets, and of course, hair nets. All shoved into the Stanley! Stanley for the win! This is a great hop. Will try to participate after moving! Fun! I just participated in the BH. My horse loves the Licky Things also, but goes through them in less than a day because he just scrapes them with his teeth rather than licks them. Lifesaver, though, for those days stuck in a stall! 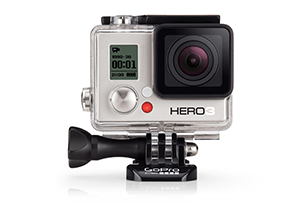 Love your helmet cam! That’s the one on the list I gave my husband filled with stuff I’d like to be surprised with. So many good things on your list. I wish I could get one of those licky things to last more than 5 seconds. Henry is much less enthusastic about the Likit, it’s lasted about a week. However, it also isn’t as good at keeping him entertained. Pingback: $900 FB Pony Blog Hop: Top 5 Horse Show Essentials | amateur problems. I just got my Henry one of those licky things and he looooooves it too!